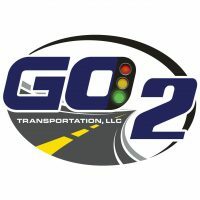 GO 2 Transportation is an industry leader in specialized vehicle transportation for manufacturers, dealers and auto professionals. They understand the sensitivity in moving exclusive high-end automobiles, custom cars, prototypes, clay models and exotic, one-of-a-kind vehicles to and from design studios, testing facilities and engineering centers. GO 2 has the customized equipment and trained staff to do so. Most major auto manufacturers, including Acura, Audi, Bentley, BMW, Ferrari, Fiat Chrysler, General Motors, Jaguar, Lamborghini, Land Rover, Lexus, Lotus, Mercedes-Benz, Nissan, Porsche, Rolls Royce, Tesla, Toyota, Volkswagen. For more information, please call 480-704-4457.